China is planning to upgrade its naval power with unmanned AI submarines that aim to provide an edge over the fleets of their global counterparts. A report by the South China Post on Sunday revealed Beijing’s plans to build the automated subs by the early 2020s in response to unmanned weapons being developed in the US. The subs will be able to patrol areas in the South China Sea and Pacific Ocean that are home to disputed military bases. 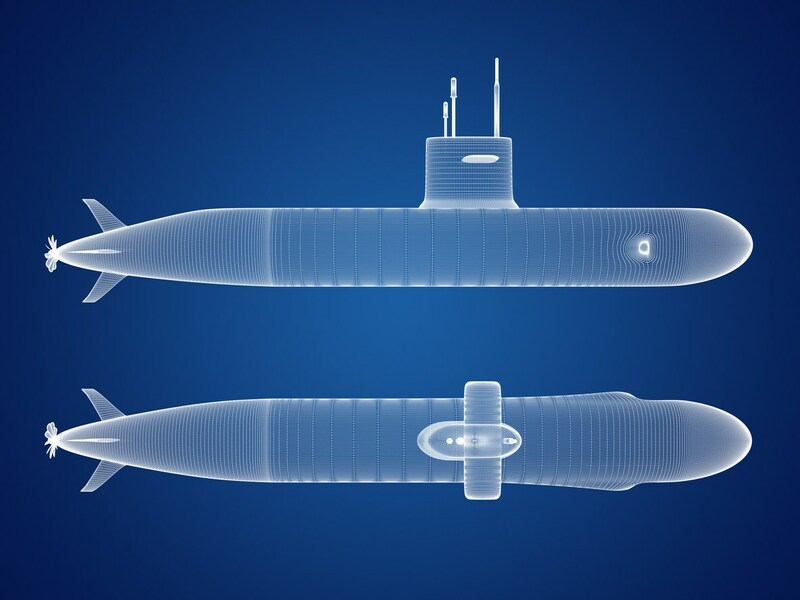 While the expected cost of the submarines has not been disclosed, they’re likely to be cheaper than conventional submarines as they do not require life-supporting apparatus for humans. However, without a human crew, they’ll also need to be resilient enough to be at sea without onboard repairs possible. The XLUUVs (Extra-Large Unmanned Underwater Vehicles) are much bigger than current underwater vehicles, will be able to dock as any other conventional submarine, and will carry a large amount of weaponry and equipment. As a last resort, they could be used in automated ‘suicide’ attacks that scuttle the vessel but causes damage to an enemy’s ship that may or not be manned. The AI element of the submarines will need to carry out many tasks including navigating often unpredictable waters, following patrol routes, identifying friendly or hostile ships, and making appropriate decisions. It’s the decision-making that will cause the most concern as the AI is being designed not to seek input during the course of a mission. The international norm being promoted by AI researchers is that any weaponised AI system will require human input to ultimately make a decision. Any news that China is following a policy of creating weaponised AIs that do not require human input should be of global concern. Robots will be paired with a versatile AI that can quickly adapt to unpredictable conditions when examining underwater infrastructure. Some of a nation’s most vital infrastructure hides beneath the water. The difficulty in accessing most of it, however, makes important damage checks infrequent. Sending humans down requires significant training and can take several weeks to recover due to the often extreme depths. There are far more underwater structures than skilled divers to inspect them. Robots have been designed to carry out some of these dangerous tasks. The problem is until now they’ve lacked the smarts to deal with the unpredictable and rapidly-changing nature of underwater conditions. 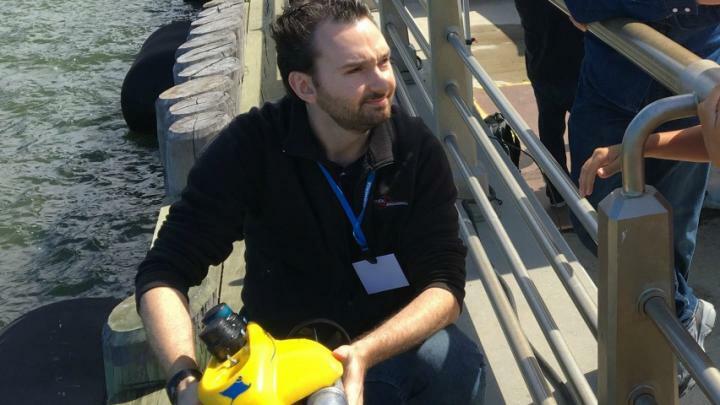 Researchers from Stevens Institute of Technology are working on algorithms which enable these underwater robots to check and protect infrastructure. Their work is led by Brendan Englot, Professor of Mechanical Engineering at Stevens. Englot and his team are using reinforcement learning for training algorithms. Rather than use an exact mathematical model, the robot performs actions and observes whether it helps to attain its goal. Through a case of trial-and-error, the algorithm is updated with the collected data to figure out the best ways to deal with changing underwater conditions. This will enable the robot to successfully manoeuvre and navigate even in previously unmapped areas. A robot was recently sent on a mission to map a pier in Manhattan. The robots use sonar for data, widely regarded as the most reliable for undersea navigation. It works similar to a dolphin’s echolocation by measuring how long it takes for high-frequency chirps to bounce off nearby structures. A pitfall with this approach is you’re only going to be able to receive imagery similar to a grayscale medical ultrasound. Englot and his team believe that once a structure has been mapped out, a second pass by the robot could use a camera for a high-resolution image of critical areas. For now, it’s early days but Englot’s project is an example of how AI is enabling a new era for robotics that improves efficiency while reducing the risks to humans. AI permeation. Artificial intelligence (AI), largely manifesting through machine learning algorithms, isn’t just getting better. It isn’t just getting more funding. It’s being incorporated into a more diverse range of applications. Rather than focusing on one goal, like mastering a game or communicating with humans, AI is starting to make an appearance in almost every new platform, app, or device, and that trend is only going to accelerate in 2018. We’re not at techno-pocalypse levels (and AI may never be sophisticated enough for us to reach that point), but by the end of 2018, AI will become even more of a mainstay in all forms of technology. Digital centralization. Over the past decade, we’ve seen the debut of many different types of devices, including smartphones, tablets, smart TVs, and dozens of other “smart” appliances. We’ve also come to rely on lots of individual apps in our daily lives, including those for navigation to even changing the temperature of our house. Consumers are craving centralization; a convenient way to manage everything from as few devices and central locations as possible. Smart speakers are a good step in the right direction, but 2018 may influence the rise of something even better. 5G preparation. Though tech timelines rarely play out the way we think, it’s possible that we could have a 5G network in place—with 5G phones—by the end of 2019. 5G internet has the potential to be almost 10 times faster than 4G, making it even better than most home internet services. Accordingly, it has the potential to revolutionize how consumers use internet and how developers think about apps and streaming content. 2018, then, is going to be a year of massive preparation for engineers, developers, and consumers, as they gear up for a new generation of internet. Data overload. 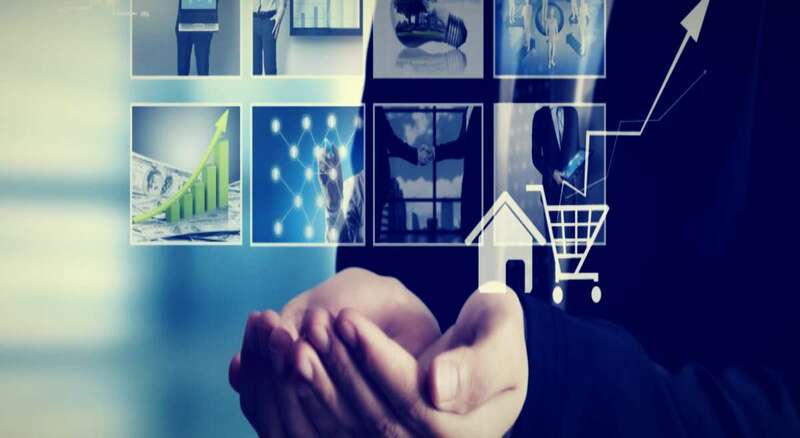 By now, every company in the world has realized the awesome power and commoditization of consumer data, and in 2018, data collection is going to become an even higher priority. With consumers talking to smart speakers throughout their day, and relying on digital devices for most of their daily tasks, companies will soon have access to—and start using—practically unlimited amounts of personal data. This has many implications, including reduced privacy, more personalized ads, and possibly more positive outcomes, such as better predictive algorithms in healthcare. Can India become an AI hub for the developing world? 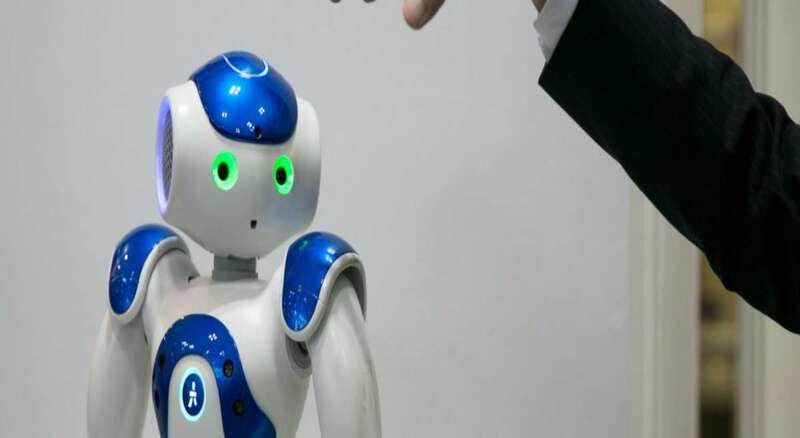 A recent report on artificial intelligence (AI) by an Indian government think tank foresees the country as an AI hub for the developing world. Research analyst Shashank Reddy writes about the possibility of that happening. India is the latest country to join the race to lead the AI revolution, which is still in the making. The world’s richest – and most powerful – countries have long been in this competition. It cuts across all spheres of national power, from the economy to the military, because the idea is that leadership in AI will enable global dominance. The two biggest powers so far have been the United States and China, with each investing heavily in AI and its applications. So does India stand a chance? Yes, according to a report released this month by think tank Niti Aayog. The report – which has been drafted as a “national strategy on AI” – admits that India lags significantly behind the superpowers in fundamental research and resources. Compared to the United States, it has fewer researchers and only a handful of dedicated laboratories and university departments. India also does not have tech giants such as Google and Amazon or behemoths like Baidu and Alibaba – all companies that can afford to invest in cutting-edge research. But India enjoys crucial advantages too. It has a vast engineering workforce, a burgeoning start-up scene and an increasing amount of data as more people buy smartphones and go online. The report itself is the latest in a slew of recent endeavours by the Indian government to encourage AI research. The federal government has created special committees to explore the possibilities AI offers in various sectors, from commerce to defence, as well as the issues that could arise from its widespread use. This year’s budget allocated money to develop a national AI strategy.